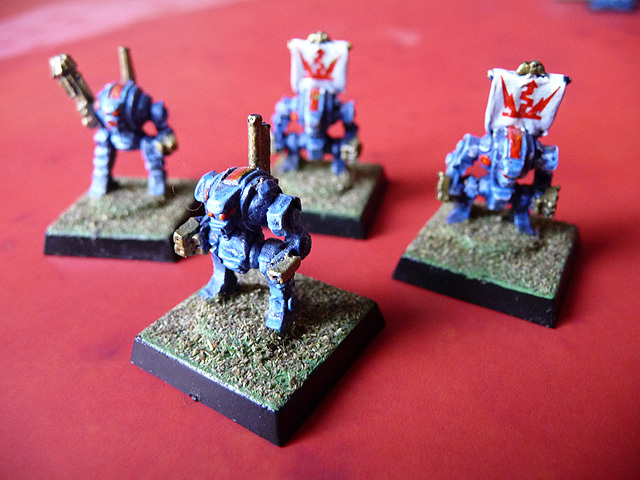 Epic Ultramarine Dreadnoughts. Not a whole lot to say except the two Dreads with banners managed to do something spectacular in a battle to warrant such displays. I think one in particular took out my mate Chris's Eldar Avatar in one game. So they got the banners and some of the IG decals which look kinda cool if not totally Codex in today's gaming circles. Just a little shift in focus to pick up on the back dread. 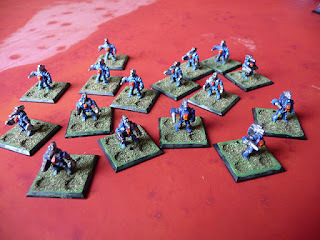 Robots, I loved robots in Epic because you got them on both the Space Marine and Imperial Guard Sprues so you could field quite a lot in your army if you'd bought both box sets, which I had. |I think they had specific 'programs' to follow but they weren't quite as restrictive as you'd imagine and if you paired them with the dreads for a little versatility all your bases were covered. 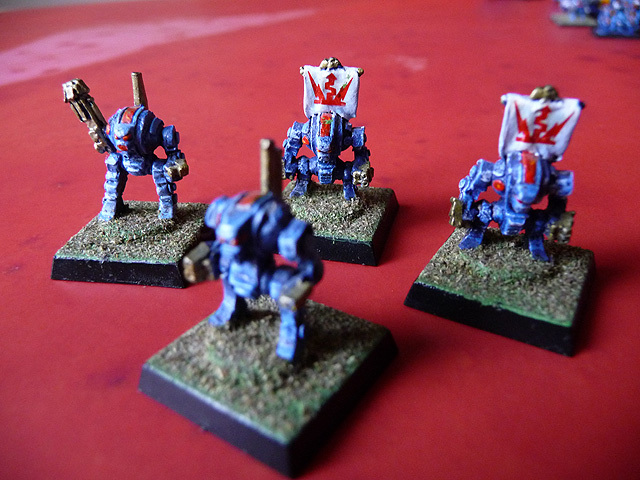 That's awesome, I had forgotten the Legio Cybernetica was in Epic. Yeah, what did happen to Robots in the 41st Millenium? Did the Adeptus Mechanicus decide AI was heretical?